With so many DVD, Blu-Ray and CD recordings of Mascagni and Leoncavallo's operas on offer, how do you choose between them? 'Cav and Pag' have enjoyed an illustrious career in the recording studios. In 1938 Mascagni conducted a full recording of Cavalleria himself, and the flood has continued unabated. Choosing which version to buy from the available catalogue can be bewildering. In 1953 and 1954 respectively, an emerging young soprano recorded her interpretations of Santuzza and Nedda, as two of her earliest commitments to a new EMI contract. The singer was Maria Callas, and that record contract would play a major role in placing her at the top of the pantheon of all-time greats. Under the baton of Tullio Serafin, and supported by high calibre singers Tito Gobbi and Giuseppe di Stefano, Callas is extraordinary in both operas. Her plangent voice lends real tragic stature to Santuzza, her scrupulous musicality clearing away many verismo mannerisms. 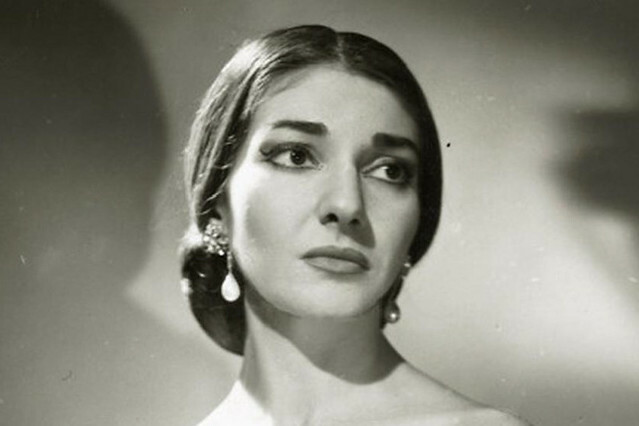 It is because of Callas's musical sensibility that her Santuzza manages to be both grand and intimate. Di Stefano, perhaps lighter voiced than expected for Turiddu, sings with macho swagger and no little beauty of tone, with Rolando Panerai delivering an incisive Alfio. A year on and Callas’ Nedda in Pagliacci is altogether a different creation. The voice is lightened, the drama appropriately coarsened – this Nedda is volatile, utterly contemptuous of Tonio, brittle and frightened as the commedia unravels. Di Stefano is an excellent Canio, Gobbi a malevolent Tonio fully worthy of Nedda’s scorn. Remastered from the original tapes by Warner, the transfers are in remarkably clear and present mono sound – a major improvement on previous issues. Franco Zeffirelli’s productions of Cavalleria rusticana and Pagliacci appeared in many opera houses, including the Royal Opera House. In 1982 he filmed both, shooting Cavalleria on location in Sicily and filming Pagliacci on stage at La Scala. Unashamedly traditional, it is unlikely that these will ever be toppled as the top celluloid recommendation, despite strong competition from von Karajan’s films, made more than a decade before. In Zeffirelli's films it is Plácido Domingo who provides the common thread, appearing in both opera and excelling particularly as Canio. Elena Obraztsova is a committed Santuzza and Renato Bruson a deluxe Alfio. In Pagliacci, Domingo is teamed with Teresa Stratas as Nedda. A fascinating and uncompromising actress, the chemistry between them lends real power to the sordid dénouement. Georges Pretre conducts the La Scala Orchestra with style. Both operas were released as audio recordings as well: they hold up competitively and make an attractive and economical CD pairing. In excellent sound, this is no mere 'soundtrack to the movie', but a first rate studio recording that formed a solid sonic base for the films. Herbert von Karajan filmed both operas in 1968. Whilst they do look of their era, they are worth having for two central performances. In Cavalleria, Fiorenza Cossotto shows why she was her generations’ leading Santuzza, passionate and full voiced. In Pagliacci we have a remarkable document in the Canio of Jon Vickers, his performance frightening in its intensity and thrillingly voiced – Canio was one of his great roles and he leaves us in no doubt why. Karajan also recorded both operas in the studio: Cossotto repeats her Santuzza opposite Carlo Bergonzi as Turiddu, and in Pagliacci Bergonzi is central as Canio opposite an excellent Nedda in Joan Carlyle. Both operas have superb supporting casts, and von Karajan conducts with a symphonic sweep that elevates them musically – certainly these are the most symphonic recordings of the two operas, though at the expense of some loss of momentum. The ROH Online Shop offers a wide range of opera and ballet recordings and merchandise. The last postage date for UK deliveries to arrive for Christmas is Monday 21 December.